A few weeks ago I contributed to the script for an episode of Game/Show, the YouTube web series put on by PBS. The episode was about why we form attachments and emotional connections with video game characters when we know very well that they’re not real. Here, you can watch the episode below. You should also subscribe to Game/Show via their YouTube page; they put out new episodes every week. I had some leftover material that wasn’t used in the video, so I thought I’d throw together a quick article using it. You’re reading that article RIGHT NOW! Video games often make us feel real emotions for such NPCs, so much so that we sometimes feel like we have a real relationship with them. Ellie from The Last of Us is a strong example of this. By the end of that game I cared about what happened to her, hated seeing her endangered, and wanted to see things turn out well for her. All this despite the fact that she didn’t even know I existed, much less give a flip about me. Granted, this isn’t new or unique to video games. The Greeks were making audiences react to plays full of actors thousands of years ago. But I think video games are unique among different kinds of media in their ability to create these kinds of characters and relationships and Ellie is emblematic of that. To understand why, let’s look at a concept that communications and psychology researchers call “parasocial relationships.” In the 1950s, social psychologists became interested in how people relate to characters, news anchors, and variety show hosts that they saw on television. The term “parasocial relationship” was made famous in a 1956 paper by Donald Horton and Richard Wohl1 in which they explored the phenomenon of people relating to TV characters as if they knew each other. They noted that if a person had such a relationship with a television figure, he/she was more likely to be engaged in the show, trust the person more, and genuinely felt intimacy with him/her. The researchers had subjects watch an actress they had employed to make a simple video while manipulating these variables. And indeed they found that people increased a sense of having a parasocial relationship with the woman who displayed all four characteristics. They also found that viewers enjoyed the film more and conformed to social norms as if the filmed woman were actually there. People said it would have been rude if they turned off the TV in the middle of the lady’s program. It would also be rude to –and this is my favorite part — pick their nose while the woman was on screen. So minus the nose picking, let’s keep this in mind and take another look at Ellie from The Last of Us. It turns out that she nails three out of the four characteristics listed above. Second, Ellie is –to use the term broadly– attractive. She’s obviously not meant to be sexually attractive to Joel or any player who has business playing a M-rated game, but her character design is such that she’s clearly not supposed to be hideous. Third, Ellie makes it easy to relate to her and to her relationship with Joel. This is, in fact, the most powerful item in her parasocial relationship toolbox. Ellie creates a situation that many players can identify with: protecting a child, then stressing out as she gets more and more in danger in the course of growing up. We can easily think of emotions, drives, and mental states to project onto her given her situation, even though they aren’t made explicit. In fact, as I’ll talk about in a separate article, we are hard wired to expect these kinds of internal thoughts and motivations, and will accept them if they form a good explanation for what we see. In short, Ellie and her situation makes it easy for us to fill in the gaps in her character and to understand her point of view. She even acts as a stand-in for the player in terms of experiencing new things in the game world. After leaving Boston, most of the zombies, locations, and rules of survival she encounters are as new to her as they are to the player. We’ve got that in common with her. Come to think of it, a lot of this stuff applies to Elizabeth from Bioshock: Infinite, too. So that’s why we like Ellie so much. And Clementine. And Elizabeth. And Claptrap.5 Not every character elicits such strong feelings of a relationship, nor need they. Sometimes you just want somebody disposable there soaking up damage or nuking the area with firestorms. And sometimes you want someone –I’m looking at you, Lydia from Skyrim— who will carry all the stuff that you hoover out of dungeons. It all depends on the design goals of the game and what the player wants out of it But for a good example of a fake person custom-made to elicit real feels, you can’t do a lot better than Ellie. Though I have to admit it would be nice if she’s learn to swim, already. 1. Well, technically they called it “parasocial interaction” but subsequent researchers changed it to “parasocial relationship.” But whatever. 2. Hartman, T. & Goldhoorn, C. (2011). Horton and Wohl Revisited: Exploring Viewers’ Experiences of Parasocial Interaction. Journal of Communication, 61(6), 1104-1121. 3. It’s also worth noting two other strong examples of the “address the character to create a relationship” type characters in video games. GLaDOS from the Portal games ostensibly taunts and chides Chell, but she might as well be addressing the player directly given that Chell is a blank avatar for the player to act through. The Narrator from The Stanley Parable takes the idea much further with the not-so-subtle subtext that he’s directly addressing the player. 4. 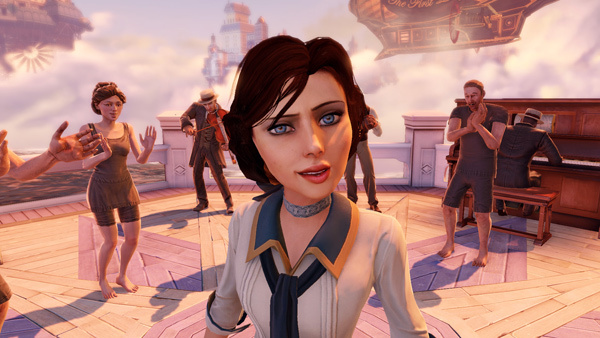 Elizabeth from Bioshock: Infinite is another good example of a task attractive character. She provides useful powers in combat and will literally throw you life-saving items when you need them. 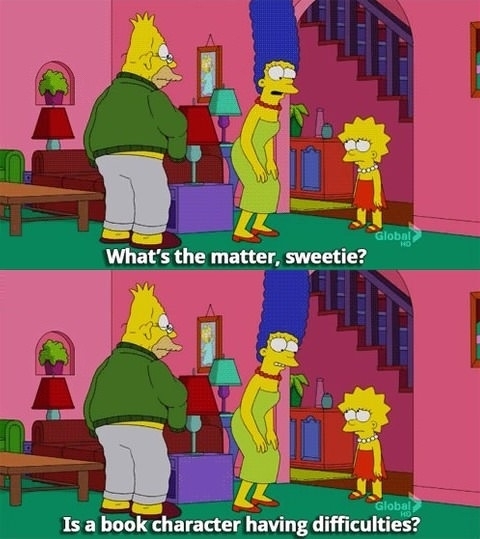 I found myself feeling this sort of attachment to Clementine in Season 1 of TWD, for sure. I think it goes a long way to explain why I’m having such a hard time getting into TWD Season 2, in fact. As Clem is now no longer an NPC, but is the player’s avatar, I find myself wrestling with how to play the game. At times, I find myself still trying to “look out for her” like my choices are those of some guardian angel hovering over her. It certainly makes me feel one step removed from the game in comparison to Season 1. I’m glad you qualified the Claptrap entry on that list. A straight arrow blog can’t always get away with ‘obvious’ jokes like that. Not to be a spelling-nazi, but there are quite a few typos in the text. If you read through it again they will be fairly apparent. Very interesting article, though. Game developers should take a look at this kind of research more often. Sulik and his hammer from Fallout 2; party members from Baldur’s Gate 1 and 2 (Minsk: “Run for the eyes Boo, run for the eyes!! !”); party members from Stonekeep (remember that cheeky little gobo? “thanks for your equipment…”) to name a few. Bro leave Ellie alone !!! If she was real she would only be mine !!! MINE !!! I love her so much than any other man.!!! !